James Wilde is a Man of Mercia. Raised in a world of books, James studied economic history at university before travelling the world in search of adventure. He was unable to forget a childhood encounter in the pages of a comic with the great English warrior, Hereward. 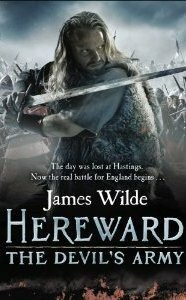 Wilde returned to the haunted fenlands of Eastern England, Hereward’s ancestral home, where he became convinced that this legendary hero should be the subject of his first novel. Wilde now indulges his love of history and the high life in the home his family have owned for several generations, in the heart of a Mercian forest. For signings and events please see: Appearances.